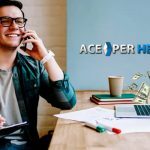 I am a new member in the PPH bookie service industry and have been a bookie since the beginning of the 2017 NFL season and would like to just make some comments about my current experience using a PPH company called Ace Per Head. First of all, just a little back story on myself is that I am a Senior in one of the major Universities in Florida, and previously I have dabbled in betting on sports since I was a freshman in college. 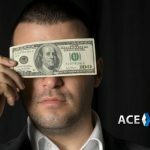 But I never had any luck betting, but I still loved the excitement of having action on a game, so I decided to look for some other ways to be involved in sports betting, and I happened to stumble upon a YouTube video on how to be a bookie. It was an interesting idea that I had never thought of before, and it made me realize this might be the perfect way to have action on games but actually earn some money from it, instead of betting myself and consistently losing. 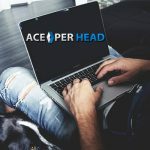 So after I saw the video which was sponsored by AcePerHead.com I decided to give them a call and see how this would all works. When I called I was surprised that I was able to speak to an American English speaking representative because they were based in Costa Rica, but apparently, most of their representatives were initially from the U.S.A., which just made it easier to understand everything they told me. 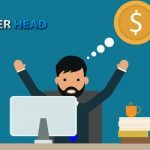 I explained that I was a novice in the pay per head side of the business, and I was in college and just looking for a way to make some extra money, and have the thrill of having action on games. As a result, they explained to me how it all worked and then even gave me a bunch of ideas and ways to build my new bookmaking business. Since I attend a major University they advised me to utilize the resources at my disposal by giving me the great idea to contact my school’s fraternities. I was in luck because one of my very good friends is president of one of the major frats on campus and we decided to partner up and get the rest of his frat buddies to wager on sports with us. It was such a great idea to attack this specific market at our campus that we eventually expanded by getting other members of frats to bet with us as well since knowing them from all the frat parties at school. By the end of the football season, we were managing just around 90 active players per week and making literally thousands of dollars each week. Lastly, I would like to also point out that Ace had a 6-week promotion that I was able to take advantage of when I started the account. I did have to make an initial deposit of $500 which I felt was a bit too much to start out, however, it did allow me to get a total of 6 free weeks, which was the first week free of each month for 6 months. I was worried that this may be too much of an initial investment for my bankroll, but it all worked out better than expected, because the $500 was used in full during the weeks I was billed, and since we had around 90 players by our third month, I ended up saving myself a nice chunk of change with the free weeks being spread out over 6 months. 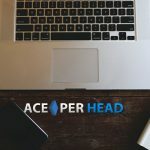 I am still currently a member at Ace Per Head and I honestly can’t believe how much money my buddy and I have made so far, and can honestly say that it is mainly because Ace was able to steer me in the right direction with all their suggestions on starting and growing my bookmaking business. I would definitely recommend these guys if anyone is looking to get started in the PPH bookie service business. 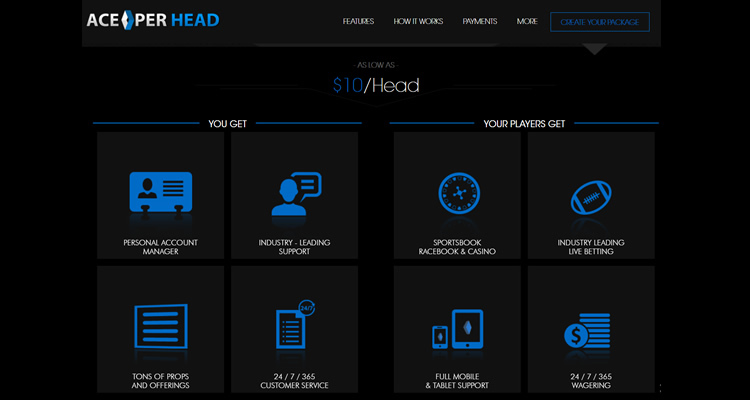 Start a Bookie Business Today!